That’s Sally Jirongo and Sally Rotich. 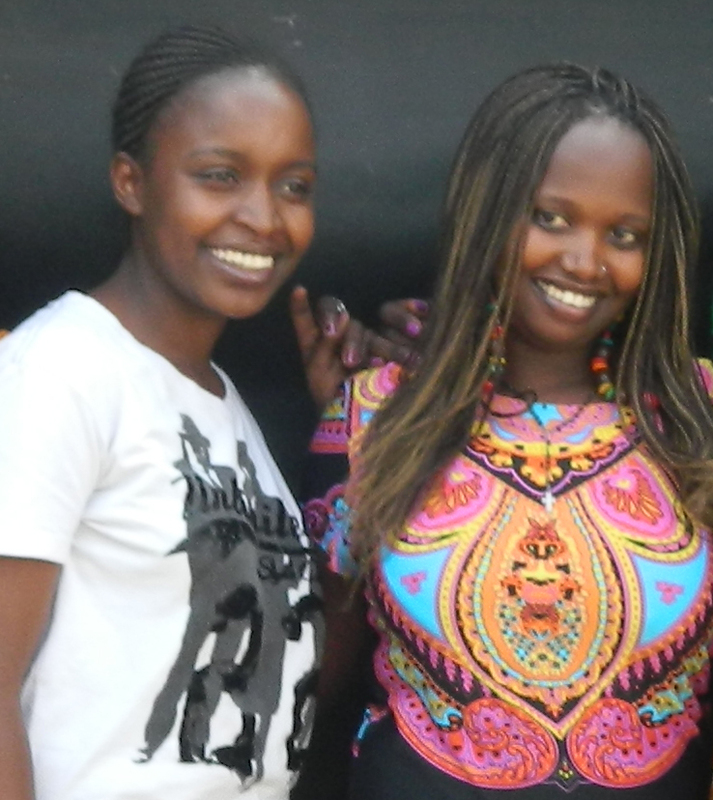 These ladies are the designers of the new hyped line, Masai Couture. Masai couture is a brand that makes beautiful clothes for the afro-urban woman. It is a celebration of the African urban woman style emancipation. This is a celebration of the woman who has confidence to represent her heritage with a touch of western flare that complements her style. The idea of a fashion line was simply a case of ‘striking the iron while hot’. A model friend of Miss Jirongo asked her if she knew any fashion designers to fill up a slot at a local fashion show. She did not, and after reading a newsletter on the show, she pitched the idea to her best friend, Sally. “We are all highly motivated individuals, and this was a chance of a lifetime,” says Miss Jirongo, “Sally was very excited by the idea.” “We had two weeks to come up with designs, source for material, and get a tailor. We had family and friends who invested in us, which motivated us even during our lowest moment,” says Sally Rotich.The three have had one show so far, and have received a lot of recognition. 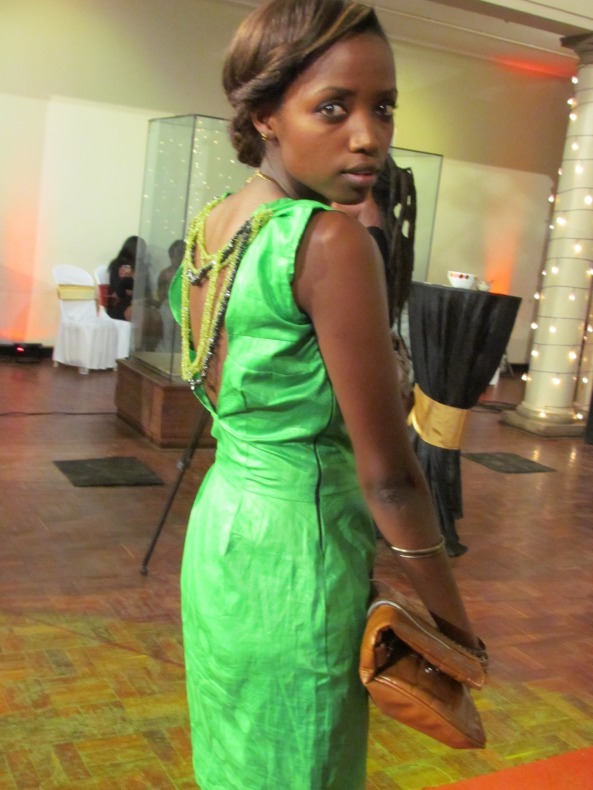 “We are currently working on orders and coming up with more designs for our next collection,” says Sally Jirongo. 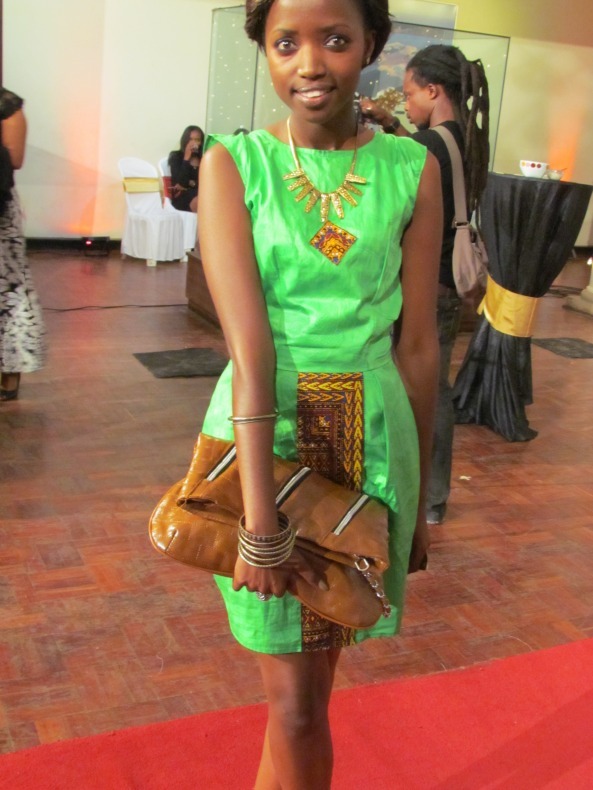 In my opinion, these ladies make the best red carpet dresses, here is Shiko Gitata in one of their designs. Masai Couture incorporates beading that adds flare to the outfit to make it unique. PERFECT!!! If you these talented ladies to make you a piece, drop them an email at masaicouture@gmail.com. Love it, feel it, wear it.